Baltimore, U.S.A., 2018-Jul-10 — /Travel PR News/ — Wit & Wisdom, a tavern by Michael Mina at Four Seasons Hotel Baltimore, has earned a top accolade from Wine Spectator again this year. 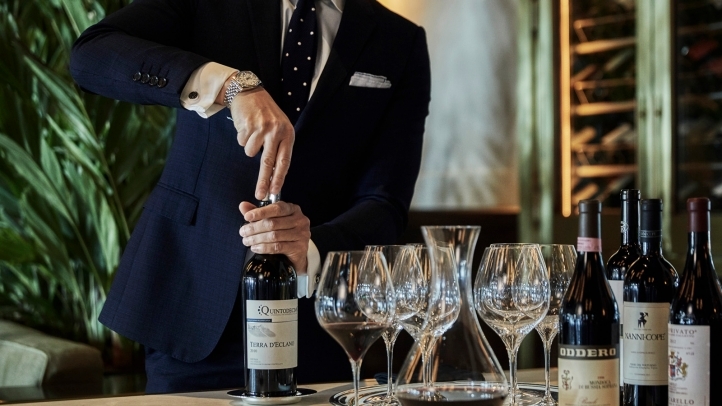 The Best of Award of Excellence, part of Wine Spectator’s 2018 Restaurant Awards, marks the restaurant’s sixth consecutive win – an honour enjoyed since 2013. Wine Spectator’s Restaurant Awards began in 1981, and recognises restaurants who take their commitment a step further; it identifies restaurants with excellent breadth across multiple winegrowing regions and displays vintage depth with several vertical offerings of top producers, along with superior presentation. In 2018, the Wine Spectator Restaurant Awards Program celebrates 37 years of championing excellence in restaurant wine lists. The awards are designed to elevate wine selection and service around the world and to encourage strong programs that complement a variety of cuisines, settings, and prices. Wit & Wisdom has been a proud participant in the program since receiving its first award in 2013. The full list of award winners is available in print in Wine Spectator’s August issue, on newsstands July 17, 2018. This entry was posted in Food & Drinks, Hotels, Luxury, Resorts, Travel, Travel Awards, Travelers and tagged awards, Baltimore, Dawn Trabing, Four Seasons Hotel, restaurants, wine, Wine Spectator, Wit & Wisdom. Bookmark the permalink.